And we’re back! Sorry for the delay between the end of week 3 and the start of week 4. Rachel was struck down with a brutal flu and then we were traveling to PAX Unplugged (a board game convention) in Philly. We’re now back at it and will be finishing off the last ten game days. Before we get too far into the update, a reminder of why we’re here: we’re raising funds and awareness for Toronto’s sick kids hospital. If you’d like to learn more or donate and support please visit our campaign page. On top of raising money for charity this challenge is also about determining who the board game champion is in our household. Where are we sitting in the competition? I’m up 2 weeks to 1 and if I win this week it’s all over. Let’s see if I can do that! 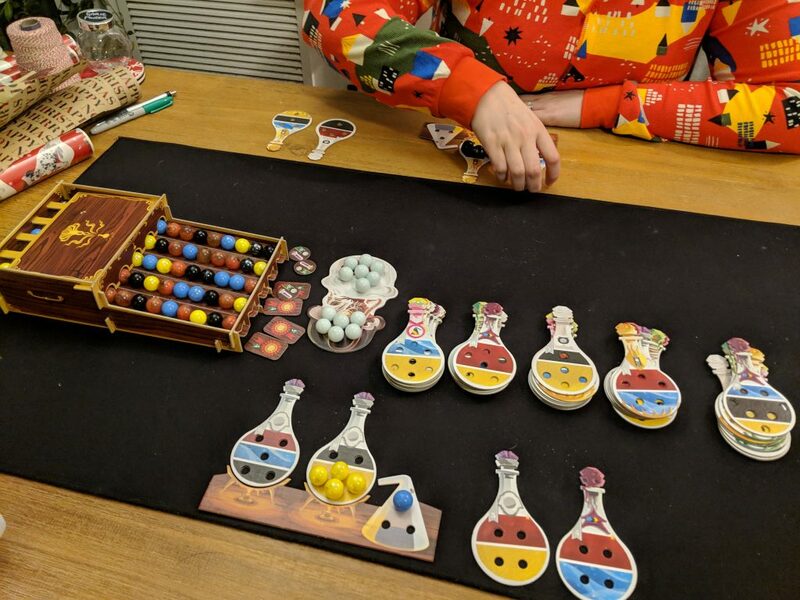 Potion Explosion is a fun family game that plays kind of like Candy Crush on your phone. Players are taking marbles out of a dispenser and if you can get marbles of the same colour to touch you set off chain reactions. 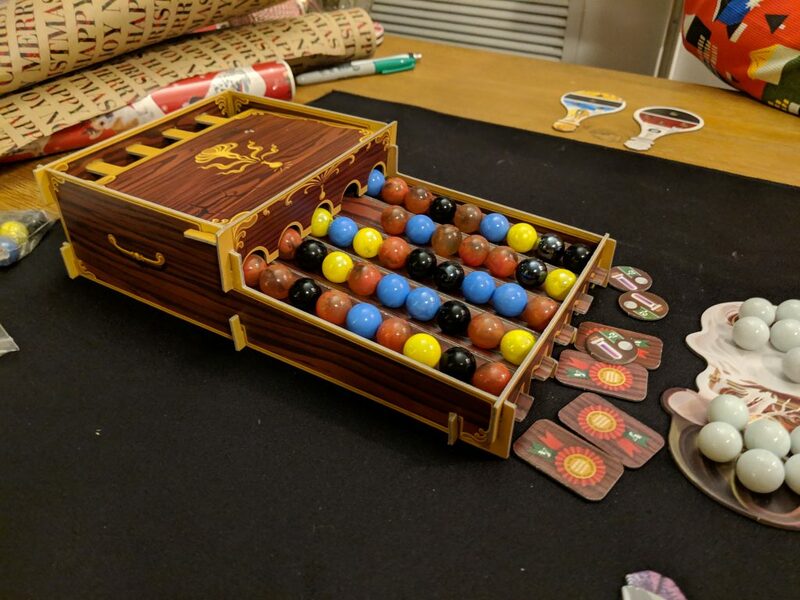 You can then spend those marbles to brew potions that have powers that help you get more marbles. It’s a fun combo game and is pretty close to an essential for family gaming. For more details on the game check out this video. 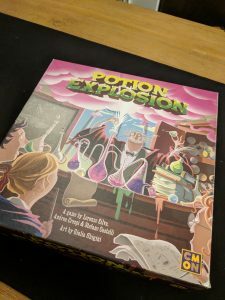 This was the quickest game of Potion Explosion we’ve ever played. The game ends when players collect a set number of achievements, in a 2 player game the number of achievements is 4. I rapidly collected 2 and then Rachel had a few crazy turns and completed hers. I think I was in the lead for 90% of the game, but Rachel closed the gap where it counted. When she ended the game she had a turn where she finished 20 points worth of potions and just crushed me at the last mile. In the end Rachel won 78 to 65 and really did win with the play of that last turn. She really jumped forward at the end to defend her 100% win percentage crown. Join us tomorrow night when I try to take back control of week 4!